Last year, the European Union (EU) announced its new guidelines on non-financial reporting that will only apply to some large entities with more than 500 employees. This includes listed companies as well as some unlisted companies; such as banks, insurance companies and other companies that are so designated by member states; because of their activities, size or number of employees. There are approximately 6,000 large companies and groups within the EU bloc (EU, 2014). The most prevalent reporting schemes in the EU were often drawn from; the G3 Guidelines of the Global Reporting Initiative (GRI) and the United Nations Global Compact (UNGC). In addition, several platforms and organisations that promote corporate sustainability reporting have developed partnerships with AccountAbility, OECD, UNEP, Carbon Disclosure Project and with many governments and sector organisations (Van Wensen et al., 2011; Kolk, Levy & Pinkse, 2008). When one explores the key topics that companies reported on, it transpired that carbon emission disclosures have become quite a common practice (Kolk et al., 2008). Moreover, recently there was an increased awareness on the subject of human rights and the conditions of employment (Lund-Thomsen & Lindgreen, 2013). Curiously, online reporting has offered an opportunity for accountability and transparency as information is easily disseminated to different stakeholders (Zadek, Evans & Pruzan, 2013). This has inevitably led to increased stakeholder engagement, integrated reporting and enhanced external verification systems. This subject has also been reported by Simnett and Huggins (2015), who have also presented a number of interesting research questions which could possibly be addressed through engagement research. At this point in time, stakeholders are considering reporting schemes as a valuable tool that can improve the quality of their reporting, particularly as it enables them to benchmark themselves with other companies (Adams, Muir & Hoque, 2014). The GRI is often regarded as ‘a good starting point’ for this purpose. Moreover, the provision of a UNGC communication on progress is a new global trend that has become quite popular among business and non-profit organisations. Some of the European organisations are gradually disclosing environmental information or certain other key performance indicators that are of a non-financial nature in their reporting (Zadek et al., 2013). Generally, public policies are often viewed as part of the regular framework for social and employment practices. Therefore, a considerable commitment is made by local governments who act as drivers for stakeholder engagement (Albareda, Lozano, Tencati, Middtun & Perrini, 2008). One way to establish a CSR-supporting policy framework is to adopt relevant strategies and actions in this regard. Such frameworks may be relevant for those countries that may not have a long CSR tradition or whose institutions lack accountability and transparency credentials (Zadek et al., 2013). It may appear that EU countries are opting for a mix of voluntary and mandatory measures to improve their ESG disclosure. While all member states have implemented the EU Modernisation Directive, they have done so in different ways. While the Modernisation Directive ensured a minimum level of disclosure, it was in many cases accompanied by intelligent substantive legislation. 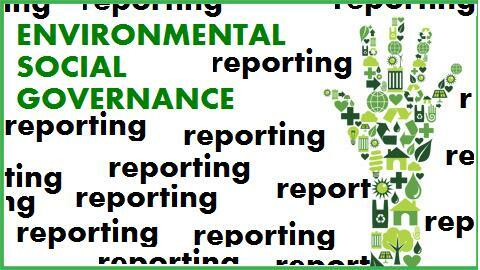 National governments ought to give guidance or other instruments that support improvements in sustainability reporting. Lately, there was a trend towards the development of regulations that integrate existing international reporting frameworks such as the GRI or the UNGC Communication on Progress. These frameworks require the engagement of relevant stakeholders in order to foster a constructive environment that brings continuous improvements in ESG disclosures. Regular stakeholder engagement as well as strategic communications can bring more responsible organisational behaviours (Camilleri, 2015). Many corporate businesses use non-governmental organisations’ regulatory tools, processes and performance-oriented standards with a focus on issues such as labour standards, human rights, environmental protection, corporate governance and the like. Nowadays, stakeholders, particularly customers expect greater disclosures, accountability and transparency in corporate reports. At the moment, we are witnessing regulatory pressures for mandatory changes in CSR reporting. Of course, firms may respond differently to reporting regulations as there are diverse contexts and realities. In a sense, this paper reiterates Adams et al.’s (2014) arguments as it indicated that ESG disclosures are a function of the level of congruence between the government departments’ regulatory environment and the use of voluntary performance measures. Somehow, EU regulatory pressures are responding to energy crises, human rights matters and are addressing the contentious issues such as resource deficiencies including water shortages. Notwithstanding, big entities are also tackling social and economic issues (e.g. anti-corruption and bribery) as they are implementing certain environmental initiatives (e.g. waste reduction, alternative energy generation, energy and water conservation, environmental protection, sustainable transport et cetera). In this light, there are implications for practitioners and assurance providers of integrated reports, standard setters and regulators (Simnett & Huggins, 2015). Future engagement research can possibly consider how report content and reporting formats, might impact on organisations’ decision making (Correa and Larrinaga, 2015). This paper indicated that practice and policy issues would benefit from additional empirical evidence which analyse how the European disclosure regulations may positively or adversely affect the corporations’ stakeholders. Albareda, L., Lozano, J. M., Tencati, A., Midttun, A., & Perrini, F. (2008). The changing role of governments in corporate social responsibility: drivers and responses. Business Ethics: A European Review, 17(4), 347-363. ASB (2006). Reporting Statement: Operating and Financial Review. https://www.frc.org.uk/Our-Work/Publications/ASB/Reporting-Statement-Operating-and-Financial-Review-File.pdf Accessed 30th August, 2014. Bansal, P., Jiang, G. F., & Jung, J. C. (2014). Managing responsibly in tough economic times: strategic and tactical CSR during the 2008–2009 global recession. Long Range Planning. BSR (2012). Trends in ESG Integration In Investments https://www.bsr.org/reports/BSR_Trends_in_ESG_Integration.pdf Accessed on the 20th September 2014. Camilleri, M.A. (2015). Valuing Stakeholder Engagement and Sustainability Reporting. Corporate Reputation Review (18) 2. CCA (2008). Climate Change Act. http://www.legislation.gov.uk/ukpga/2008/27/contents Accessed 2nd October, 2014. Clark, G.L. & Knight, E.R. (2008). Implications of the UK Companies Act 2006 for institutional investors and the market for corporate social responsibility. Journal of International Law, 11, 259. ComLaw (2010) Australian Government: “Building Energy Efficiency Disclosure Regulations 2010- F2010L01955 http://www.comlaw.gov.au/Details/F2010L01955 accessed on the 7th February 2015.
http://www.legislation.gov.uk/uksi/2013/1970/pdfs/uksi_20131970_en.pdf accessed on the 8th February 2015. Copenhagen Business School Public policy on CSR reporting: Danish experiences and other observations.https://www.globalreporting.org/SiteCollectionDocuments/Global-Conference-2013/slides/GRI-Academic-Public-Policy-TRJ-23May2013.pdf accessed on the 5th February, 2015. Correa, C., & Larrinaga, C. (2015). Engagement research in social and environmental accounting. Sustainability Accounting, Management and Policy Journal, 6(1). CSR Compass (2014). Responsible supply chain management. http://www.csrcompass.com/responsible-supply-chain-management Accessed 23rd September, 2014. Danish National Action Plan (2014). Implementation of the UN Guiding Principles on Business and Human Rights. Danish Business Authority, Copenhagen. http://www.ohchr.org/Documents/Issues/Business/NationalPlans/Denmark_NationalPlanBHR.pdf Accessed 30th September 2014. DCCA (2010). Corporate Social Responsibility and Reporting in Denmark. Danish Commerce and Companies Agency. http://samfundsansvar.dk/file/319099/corporate_social_responsibility_and_reporting_in_denmark_september_2010.pdf Accessed 14th September 2014. DCGC (2014). Dutch Corporate Governance Code: Principles of good corporate governance and best practice provisions. http://commissiecorporategovernance.nl/download/?id=606 Accessed on the 2nd October, 2014. DECC (2014). UK National Energy Efficiency Action Plan. Department of Energy and Climate Change. http://ec.europa.eu/energy/efficiency/eed/doc/neep/2014_neeap_united-kingdom.pdf Accessed 29th August, 2014. ECCJ (2014). Assessment of the EU Directive on the disclosure of non-financial information by certain large companies. http://business-humanrights.org/sites/default/files/media/documents/eccj-assessment-eu-non-financial-reporting-may-2104.pdf Accesses on the 3rd January 2015. EU (2002). Corporate Social Responsibility: A business contribution to Sustainable Development. COM(2002) 347 final. Commission of the European Communities, Brussels. EU (2011). A renewed EU strategy 2011-14 for Corporate Social Responsibility. http://ec.europa.eu/enterprise/newsroom/cf/_getdocument.cfm?doc_id=701 Accessed 3rd February 2014. EU (2012a). Sustainable and responsible business European Expert Group on corporate social responsibility (CSR) and SMEs. http://ec.europa.eu/enterprise/policies/sustainable-business/corporate-social-responsibility/sme/european-expert-group/index_en.htm Accessed 12th July 2014. EU (2012b). Energy Efficient Directive. http://eur-lex.europa.eu/legal-content/EN/TXT/?uri=CELEX:32012L0027 Accessed on the 5th January 2015.
http://ec.europa.eu/internal_market/accounting/non-financial_reporting/index_en.htm Accessed 25th June 2014. EU (2014c). European Pollutant Release and Transfer Register (PRTR). http://europa.eu/legislation_summaries/environment/general_provisions/l28149_en.htm Accessed 29th August, 2014. EU ETS (2014). EU Emission Trading Scheme. http://ec.europa.eu/clima/policies/ets/index_en.htm Accessed on the 10th January 2015. Eurofound (2003). Towards a sustainable corporate social responsibility. European Foundation for the improvement of Living and Working Conditions. Office for Official Publications of the European Communities, Luxembourg. FRC (2012). The UK Corporate Governance Code. Financial Reporting Council. https://www.frc.org.uk/Our-Work/Publications/Corporate-Governance/UK-Corporate-Governance-Code-September-2012.aspx Accessed 3rd October, 2014. Gov.UK, “The UK is the first country to make it compulsory for companies to include emissions data for their entire organisation in their annual reports,” June 20, 2012, https://www.gov.uk/government/news/leading-businesses-to-disclose-greenhouse-gas-emissions. Hąbek, P. & Wolniak, R. (2013). European Union regulatory requirements relating to Sustainability Reporting: The case of Sweden. Scientific Journals Maritime University of Szczecin, Zeszyty Naukowe Akademia Morska w Szczecinie. Hartmann, F., Perego, P., & Young, A. (2013). Carbon Accounting: Challenges for Research in Management Control and Performance Measurement. Abacus, 49(4), 539-563. Ioannou, I. & Serafeim, G. (2014). The consequences of mandatory corporate sustainability reporting. Harvard Business School Research Working Paper 11-100. IPPC (2013) Integrated pollution prevention and control (until 2013).http://europa.eu/legislation_summaries/environment/waste_management/l28045_en.htm Accessed on the 10th January 2015. Ireland’s Credit Institutions Act (2008). http://www.irishstatutebook.ie/2008/en/act/pub/0018/ Accessed 19th September 2014. Kessler, A. & Cuerpo, C. (2011). Macroeconomic Impact of the Sustainable Economy Law. Documentos de Trabajo, 03. Knopf, J., Kahlenborn, W., Hajduk, T., Weiss, D., Feil, M., Fiedler, R. & Klein, J. (2010). Corporate Social Responsibility National Public Policies in the European Union. EU Commission, Brussels. Kolk, A., Levy, D., & Pinkse, J. (2008). Corporate responses in an emerging climate regime: the institutionalization and commensuration of carbon disclosure. European Accounting Review, 17(4), 719-745. KPMG (2010). Carrots and Sticks – Promoting Transparency and Sustainability. An update on trends in Voluntary and Mandatory Approaches to Sustainability Reporting. KPMG in collaboration with United Nations Environment Programme and Global Reporting Initiative in Africa. https://www.globalreporting.org/resourcelibrary/Carrots-And-Sticks-Promoting-Transparency-And-Sustainbability.pdf Accessed 01st October, 2014. Lund-Thomsen, P. & Lindgreen, A. (2013). Corporate Social Responsibility in Global Value Chains: Where Are We Now and Where Are We Going?”. Journal of Business Ethics, 1-12. Martinuzzi, A., Krumay, B. & Pisano, U. (2011). Focus CSR: The New Communication of the EU Commission on CSR and National CSR Strategies and Action Plans. European Sustainable Development Network (ESDN), Quarterly Report No, 23. Mullerat, R. (2013). Corporate social responsibility: a European perspective. Jean Monnet/Robert Schuman Paper Series Vol. 13 No. 6, June 2013. Nidasio, C. (2004). Implementing CSR on a large scale: The role of government. In 3rd Annual Colloquium of the European Academy of Business in Society, Ghent. Porter, M.E. & Kramer, M.R. (2011). Creating Shared Value. Harvard Business Review (89) 1-2. Progress Report (2008). For a Sustainable Germany. German Strategy for Sustainable Development. http://www.nachhaltigkeitsrat.de/fileadmin/user_upload/English/strategy/2008/German_Govt_NSDS_progress_report_08_E.pdf Accessed 10th October, 2014. Rasche, A. (2009). Toward a model to compare and analyze accountability standards – the case of the UN Global Compact. Corporate Social Responsibility and Environmental Management 16 (4) 192–205. Simnett, R. & Huggins, A.L. (2015) “Integrated reporting and assurance: where can research add value? : “, Sustainability Accounting, Management and Policy Journal, 6 (1). Transparency International (2012). GRI: Germany’s corporate reports do not deliver what they promise. https://blog.transparency.org/2012/12/11/gri-germanys-corporate-reports-do-not-deliver-what-they-promise/ Accessed 21st September 2014. Van Wensen, K., Broer, W., Klein, J. & Knopf, J. (2011). The State of Play in Sustainability Reporting in the European Union. European Commission, Brussels. http://ec.europa.eu/social/BlobServlet?docId=6727&langId=en Accessed 7th June 2014. Whiteside, K. H., Boy, D., & Bourg, D. (2010). France’s ‘Grenelle de l’environnement’: openings and closures in ecological democracy. Environmental politics, 19(3), 449-467. Zadek, S., Evans, R., & Pruzan, P. (Eds.). (2013). Building Corporate Accountability: Emerging Practice in Social and Ethical Accounting and Auditing. Routledge.